Drones are becoming more and more visible nowadays, and soon enough people will begin finding newer and better ways to use them. Drones are now becoming much easier to procure, leaving very little in the way of people exploiting their benefits. These little machines and their flying ability as well as their ability to carry things around are going to be used in many never before seen ways. To get a little money with your drone, you have to start monetizing those functions before other people start to get the same idea. As long as you have one and you know how to fly it, you can see it flying money into your pocket in no time. Delivery is a great way to utilize your drone. It gives you a wider locale by allowing you to reach farther places through the air. A wider range instantly gives you a wider customer target, and the customers you can possibly reach, the more people might choose to buy your products. Besides, having a drone bring products to your customers gives them another way to enjoy your company. The quick delivery will make them more satisfied and will make it more possible for them to endorse your company to their friends. Drones were widely used in military operations to look at the enemy base without sacrificing lives. Because of this, they are innately designed to carry cameras safely. This means that you can use your drone to take a video or a photo of almost anything you would want it to. Drones like the DJI Phantom 3, can fly to a place, snap a few pictures, and give you money while you’re at it. One of the best ways to try out your drone camera (and your flying skills), would be to use it for home inspections. People would definitely be willing to pay you to use your drone and fly it to the roof to check it for any damages or leaks. They would also be happy if you can check out the rest of their house with your drone, too. If your flying skills are good enough, you can rack in quite a few bucks by being able to glide as close as possible to their house without damaging the external structure. The drones can also be used to take a video or picture of great, sweeping landscapes. Many wealthy homeowners would be inclined to finance a beautiful view of their home. In fact, great landscapes can be sold to many owners as long as you know how to create a steady sweeping arc with your drone. Good photography skills are also necessary if you want to make sure your shots are profitable. Other profitable video making jobs include creating a wedding video with beautiful scenery. This is a two way method to make cash out of your drone. First of all, you can promote your company and get more customers by using your drones to advertise your company. 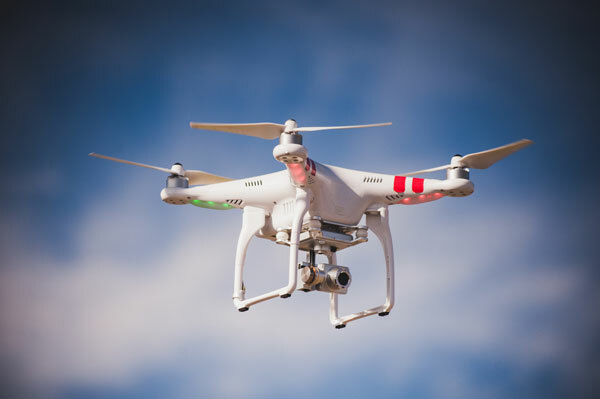 A sign or banner can be placed onto your drone and it can go around the area while advertising your company. Since drones are usually noticed by people, your sign will surely not be missed. Second, you can be hired to advertise for other people. Putting up other people’s banners in the air can become a very lucrative job if you can fly your drone safely around crowded areas. Drones aren’t just a new toy that’s been made available to the people. It’s also a great way to get some money on the side. If you have enough skills, you can take videos of different things and sell them to interested parties. If your skills are just mediocre, you can opt to advertise for yourself or for others, or inspect people’s homes for an acceptable price. Nice post.The most beneficial thing about the Best Contemporary Clothing Store online clothing stores is that you can get the chance to shop all new desirable clothing’s from the ease of home. There are some beautify ad trending dresses all coming up in the market which all gets delivered to your Women's Fashionable Clothing Online address for free and cashback assurance too.